Sabah, which has among the highest oil reserves in the country, has emerged as an important oil and gas (O&G) hub in this region, said Universiti Malaysia Sabah (UMS) vice chancellor Prof Datuk Dr Mohd Harun Abdullah. He said this was evident from the major shifts in the O&G industry in harnessing these reserves, including offshore projects such as Kikeh, Gumusut Kakap, Malikai, Kababagan, Jangas, Ubah Crest, Pisangan and Kamunsuand. 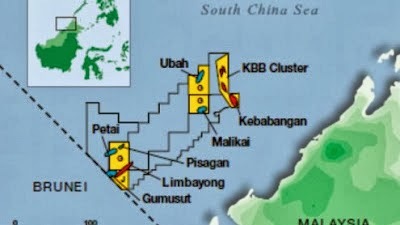 Apart from offshore projects, Mohd Harun said there were also onshore projects -- Sabah Oil & Gas Terminal in Kimanis, Sipitang O&G Industrial Park and Kimanis-Bintulu gas pipeline that galvanise the O&G industry in the state. "In all, these O&G upstream and downstream industries need 16,000 skilled manpower annually to meet the growing demand by 2020 as outlined by Federation of Accredited Department of Skills Development Malaysia," he said in his keynote address in conjunction with the International O&G Symposium in Likas near here Wednesday. His text of speech was delivered by Dean of UMS's School of Engineering and Information Technology Assoc Prof Dr Rosalam Sarbatly. Mohd Harun said the O&G sector played a significant role in the development of the nation, contributing more than 40 per cent to the country's national income. In this respect, he said UMS had established post graduate course in O&G last year and embarking to start an undergraduate course in its School of Engineering and Information Technology. He said the university also introduced diploma programmes in five disciplines namely process, instrumentation, mechanical, electrical and utility at UMS campus in Labuan with the strategic objective to becoming a leading player in O&G manpower development. He said UMS aspired to work with the institutions, industries and research organisations to create a culture of excellence, investing in skills and encouraging research and innovation. "Now it is for the industry as a whole to play a greater role in developing human capital through partnerships and collaborations and working with learning institutions to develop O&G talent and for new discoveries," he said.